"What he does though, and this is very important, is to tell it straight and transform the knowledge into advice and powerful tools that will work for you, making it impossible to escape by coming up with various excuses. 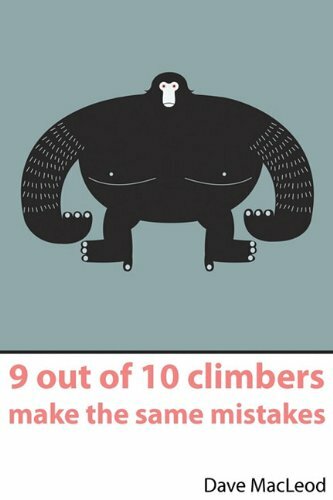 If you really want to improve as a climber, you can. It's as simple as that. It doesn't matter if you're a beginner with three kids or a professional. Unfortunately, just because the concept is easy to understand and this book gives you all the tools you need, it doesn't mean it's an easy path to follow. Most of us will undoubtedly have to fight pretty hard to be able to change our training patterns, our way of thinking about training, as well as our self image. But at the same time, if we can change, there's hope for us all! So, if you are ready to challenge and change your climbing habits, this book is an absolute must buy." "All in all, a great book for those into the journey of not even getting "stronger" (McLeod addresses this) but getting better. Well written and in a gentle tone of coaching." "Overall, I would unhesitatingly recommend this book. The insight the author gives into the world of high-end climbing is invaluable and his candid, thoughtful, and clear prose conveys advice in a way that is likely to be heeded. If you have been there, frustrated and at a plateau and haven’t really thought out why, buying this book would be a good first step towards getting out of the rut. 9 out of 10? More like 10 out of 10."